Install Wii universal rechargeable battery packs or battery packs on the Wii remote, then place it on the charge stand randomly. The red LED on the charge stand is on,showing that the battery pack is being charged. When fully charged,the blue LED is on. 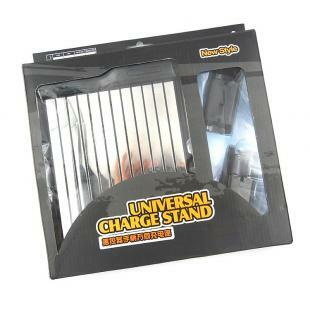 Find, Read Reviews & Buy cheap Universal Charge Stand for WII Remote products at wholesale price from leading chinese supplier, enjoy online Universal Charge Stand for WII Remote for sale and become wholesaler now!